Marcus Siqueira: Born in Caratinga (Brazil), Marcus Siqueira has an undergraduate degree in Music from the University of São Paulo. He studied with Willy Corrêa de Oliveira, who was his tutor during the undergraduate course and also afterwards. He has been awarded important composition prizes in Brazil: 2010 FUNARTE Classical Composition Prize, 1st National Composition Competition - Sinfonia Cultura/SBMC (2000); VI Nascente Project Competition promoted by Abril Cultural and the University of São Paulo (1996); 1st Composition Competition of the XIV Brazilian Contemporary Music Bienalle (Rio de Janeiro - 2001); 1st National Arrangement Competition for Symphonic Band in Tatui, and others. He also received three major composition fellowships in his country - FUNARTE (2008); VITAE Foundation (2003) and RioArte (2001). His pieces have been played in contemporary music festivals and biennales in Brazil, and by brazilian and foreign musicians in recitals and festivals in the USA, France, Portugal, Germany, Colombia, the Netherlands, Spain, Switzerland, United Kingdom, Greece and Italy. 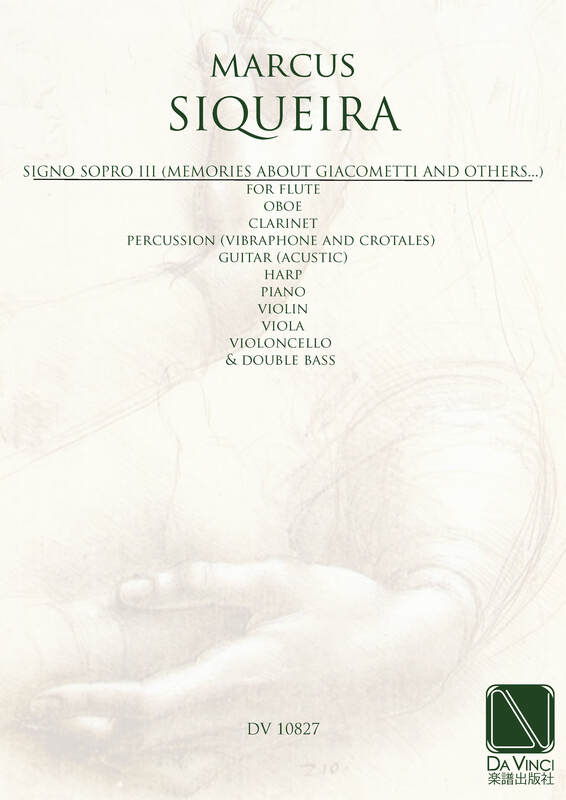 He has works for several formations: orchestra, chamber music, madrigal, choir and several solo pieces. He also uses multimedia and electronic resources in his works for the theatre, specially in the play BR3 by Teatro da Vertigem (2006). His works have been recorded by Radio Cultura Symphony Orchestra on the Paulus label (Premières – 2001), Água-Forte label (Marcus Siqueira por Gilson Antunes - guitar) and on independent record labels. As a film composer, he has significant participation in brazilian documentary films(Evaldo Mocarzel and Jorge Bodansky: directors). He also works with young film directors: Frederico Foroni, Bruno Torres and others. As a teacher, developed intense pedagogical work at the Colégio Santa Cruz and Colégio Oswald de Andrade. He currently teaches in the Superior Music Course (EAD) of the Cantareira Faculty and teaches free music courses in Italy, where he resides, with special emphasis on courses at institutions such as: Conservatoire di Bruno Maderna (Cesena), Conservatorio di Musica Giovan Battista Martini (Bologna) and Conservatoire di Musica Arrigo Boito (Parma). He is Musical Advisor of Oswald de Andrade College in São Paulo since 2015.